Household cleaners don't need to be full of chemicals and bleach. Non-toxic solutions are better for you and your home. This kit is perfect to get you or someone special started with making your own household disinfectants and surface sprays. 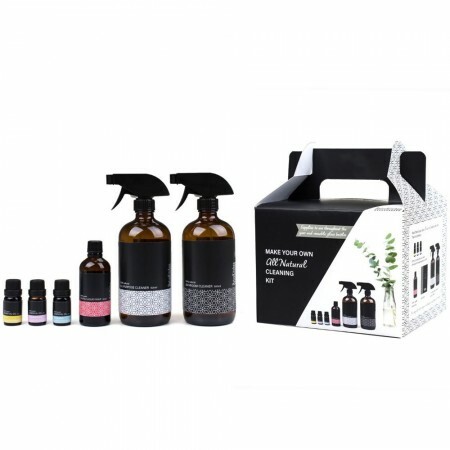 Includes: 2x Amber glass spray bottles, 1x 100ml castile liquid soap, 3x essential oils (lemon, pink grapefruit and eucalyptus). Australian made. Once kit ingredients are used up, you can reuse the amber bottles and start creating your own personal scents or variations throughout the year. Amber glass bottles can be recycled when usefulness if done.